Feeding a growing toddler may be quite tricky given their food limitations and experience. But once you get into the groove in knowing what your kid likes most and what she can eat, serving her nutritious and delicious food can be your second nature. I have three simple tips to achieve that! First, it has to be soft or soupy. Nothing that can choke them or can make their milkteeth hard to chew. Next, it should be a complete meal—think of go, grow glow. Toddlers have unlimited energy and they need well-balanced meals to refuel. Lastly and most importantly, it has to be irresistibly yummy. Misua con Patola or Almondigas easily tops the list of dishes that we can serve our toddler and the whole family. It's a legit hit especially when it's breezy cool like today. For those who don't know yet, Almondigas came from the Spanish word Albondigas, which means meatballs. 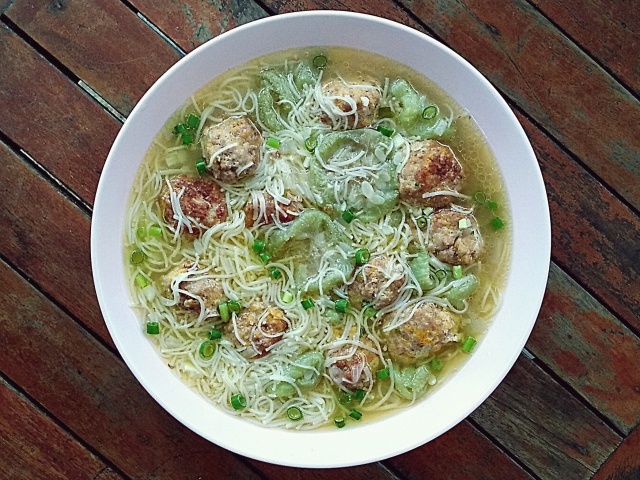 So yes, this soup is meatballs-based but loved well if it has patola and misua. There are more savory versions from other countries but here in the Philippines, Almondigas is known to be light and comforting; perfect for sweater weather or when someone's down with a flu. I've been sharing photos of this dish on Facebook and Instagram whenever we'll have it but have never included my recipe. So finally, here it is! 500 grams of ground meat can make 24 medium-sized meatballs. I used the 1/8 measuring cup. For this recipe, I only used 12 meatballs and used the other 12 for another dish. You may add more broth, patola and misua if you intend to use it all. I used ground beef because for me, its broth is tastier than pork.I'm not sure how it'll taste like with chicken, though so maybe let's stick with pork or beef, okay? Also, choose 90% lean. Now, is anyone not ready? 1. 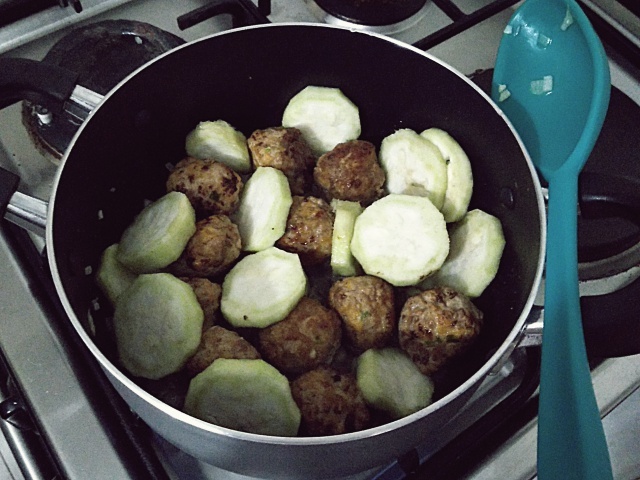 In a bowl, mix all the ingredients of the meatballs well with your hands. Using your bare hands, instead of a ladle, makes it easier for the ingredients to form into a perfect mixture. 2. Scoop the meat mixture using a 1/8 measuring cup for uniformed sizing then shape it into balls. 3. 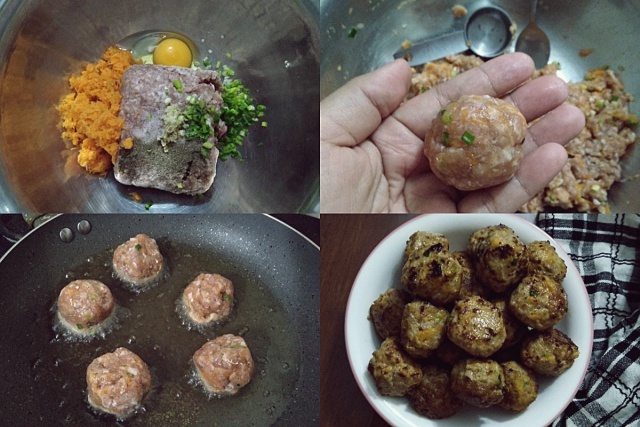 Fry the meatballs until its outward appearance is golden brown. You don't need to fry it fully as it will be boiled in stock with the rest of the ingredients. Set aside. 4. In a pot with low to medium fire, sauté the onion and garlic until translucent. 5. Add the meatballs, patola, stock or rice washing and fish sauce. 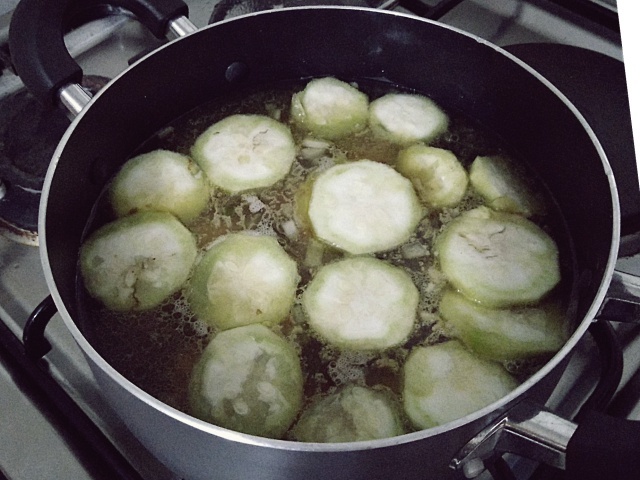 Boil until patola is cooked, around 10 to 15 minutes. This step will also cook the meatballs further. 6. 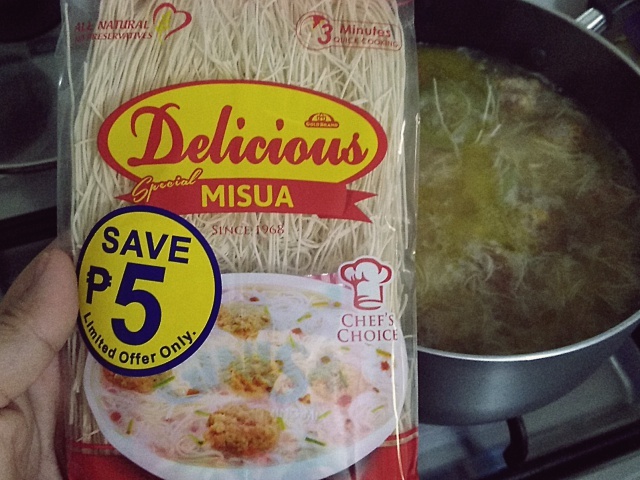 Add the misua noodles and cook for 2 to 3 minutes. Do not overcook. 7. Season with pepper and serve with chopped green onions. Enjoy! My nephews love Misua. Will definitely try this. Thanks for sharing.